“If you set goals and go after them with all the determination you can muster, your gifts will take you places that will amaze you.” Les Brown Heidy was originally born in the Philippines and raised in San Francisco. 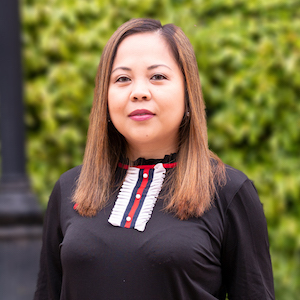 As the oldest of four siblings, she is part of a third generation Filipino-American family with roots here in the Bay Area. She believes that growing up in San Francisco has allowed her to fully embrace the beauty and diversity of many different cultures and beliefs. Being aware of cultural differences and surroundings has transformed Heidy’s understanding of how she can best connect with a wide array of individuals and families. Prior to getting into the real estate industry, Heidy spent more than 14 years as a seasoned professional within the mortgage industry. Her passion for real estate first began when she witnessed her parent’s first purchase of their home. Present throughout the entire purchasing process, she watched closely and eventually realized that working in real estate was exactly what she was meant to do. However, Heidy’s approach to real estate is one that’s dedicated to turning transactions into lifelong relationships. She believes in treating her clients like family—and just as what she wants for her own family—she goes above and beyond to ensure that her clients receive only the best service possible. Heidy enjoys helping her clients achieve their American dream. For her, the most rewarding feeling as an agent, is when she sees her clients smile as they receive the keys to their new home. Heidy is not only an agent who’s very passionate about her job, but is as driven, focused, and client oriented as she is family oriented. Heidy believes that earning her clients' referral is the best compliment she can receive!